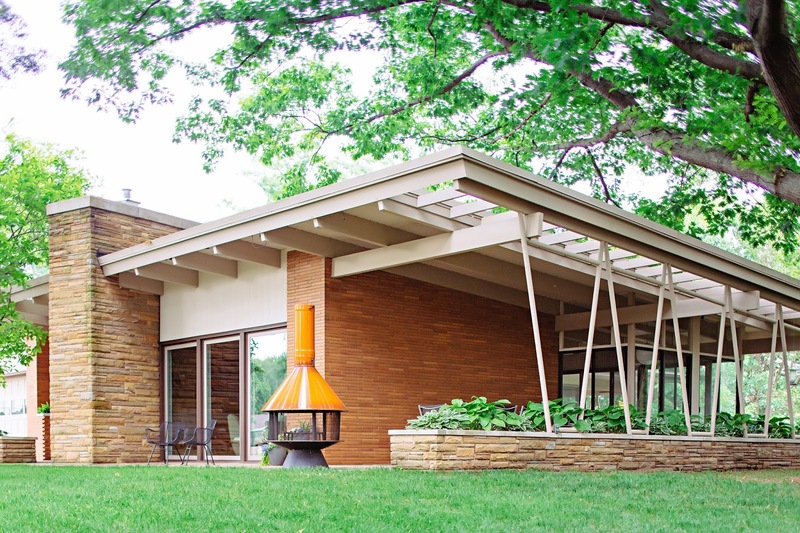 Many people ask me what the difference between midcentury modern and midcentury modest homes are, and when it comes down to it, it's the roofline. While I've seen some of the most modest ranches homes full of modern details, I'd still classify that home as a modest ranch with modern details inside. 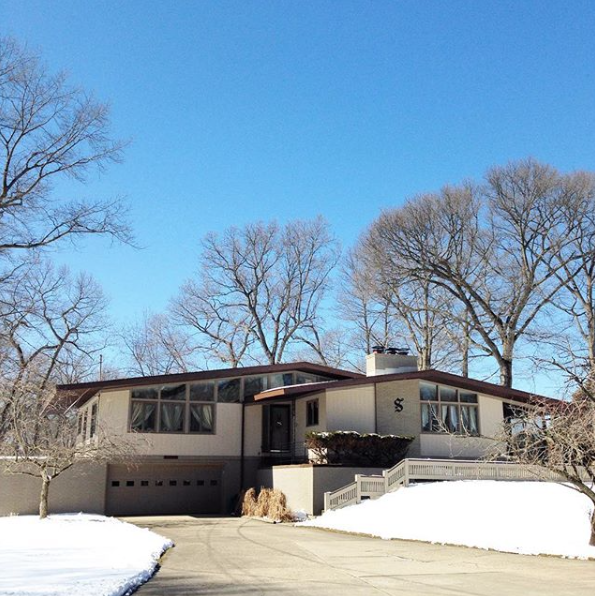 What are these rooflines? I've personally documented many of them and try to share them as discovered in real life on the MidModMich Instagram feed. 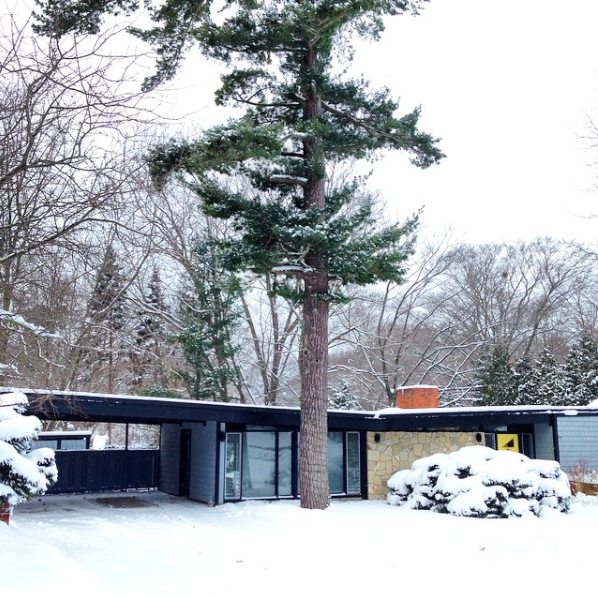 While there are a plethora of examples in large midcentury modern communities such as Palm Springs, these rooflines also exist right here in West Michigan - many even here in Grand Haven. The butterfly roofline is my personal favorite, but the folded plate comes in as a very close second. 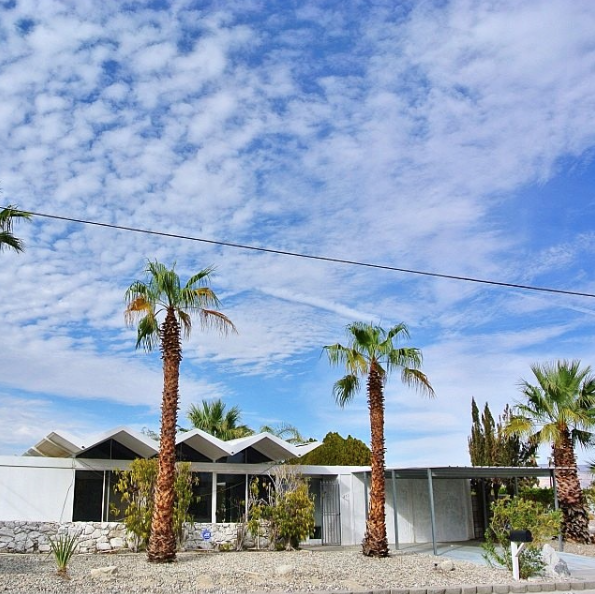 Our own home has a very common shed roofline, but still stands out on our street of traditional midcentury ranches. 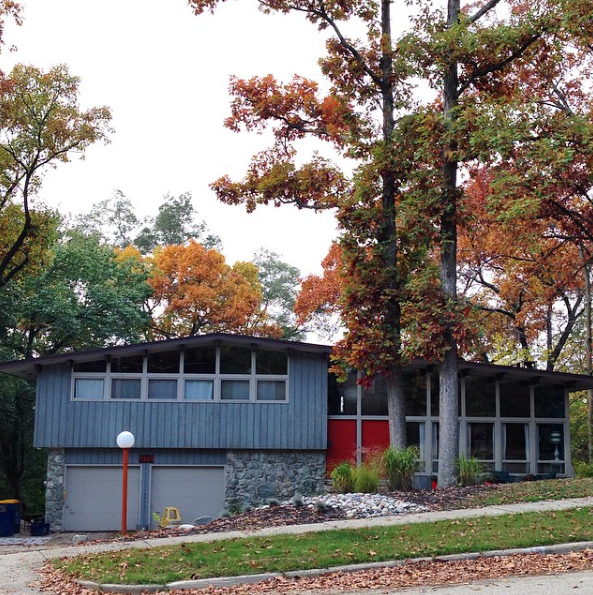 The timeless flat roofline is what many people associate with midcentury modern homes, but there are many more. 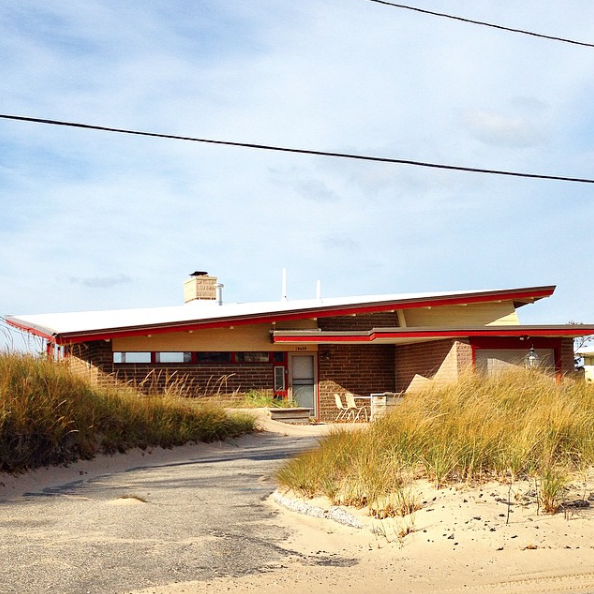 My husband's favorite is the hyperbolic paraboloid, which is a rare breed, but do exist - we even have a couple of local examples on the shores of Lake Michigan. Butterfly, this is a local Grand Haven example I snapped from my car a few winters ago. 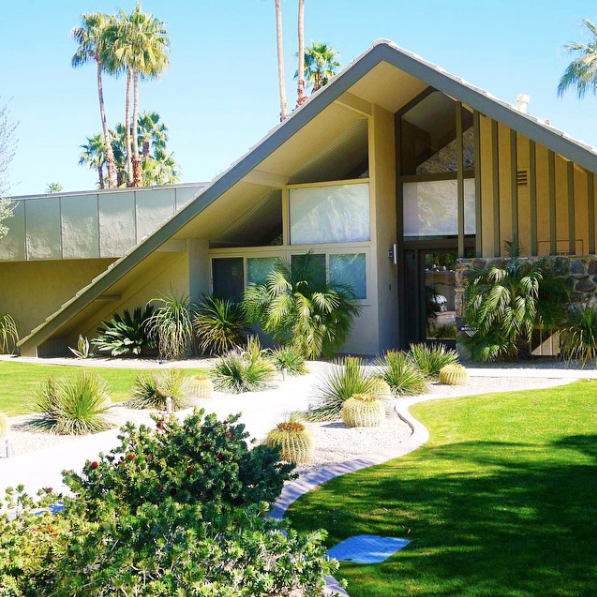 Folded Plate, a classic Donald Wexler-designed home in Palm Springs, this is one of the seven steel homes. Shed, This is our home here in Grand Haven, Michigan. Wide Gable, asymmetrical, I snapped this sidewalk photo in East Grand Rapids, Michigan. 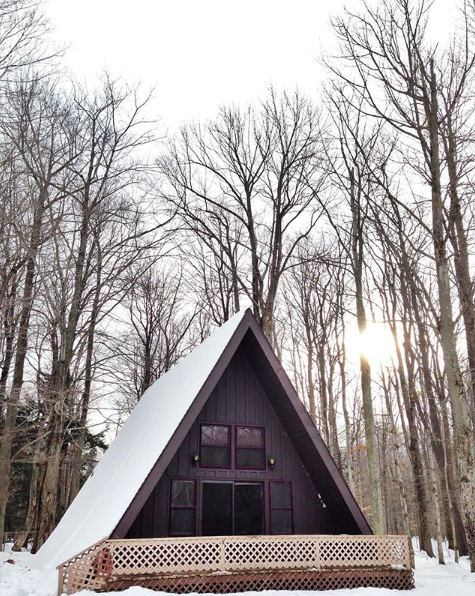 Wide Double Gable, Another local favorite here in Grand Haven, Michigan. 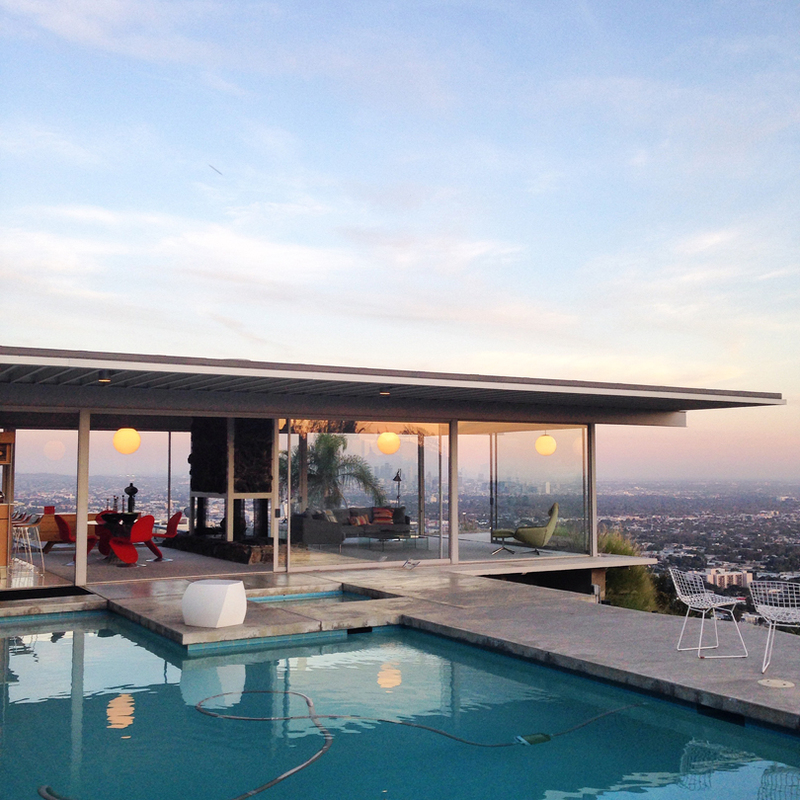 Swiss Miss, A classic Palm Springs home snapped by my sister a few years ago. 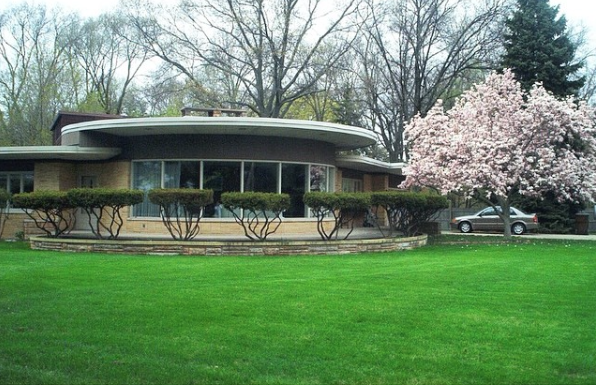 Flat Rounded, this one is an unusual home designed by the same architect as our home, Latvian-born Krisjanis Grants. 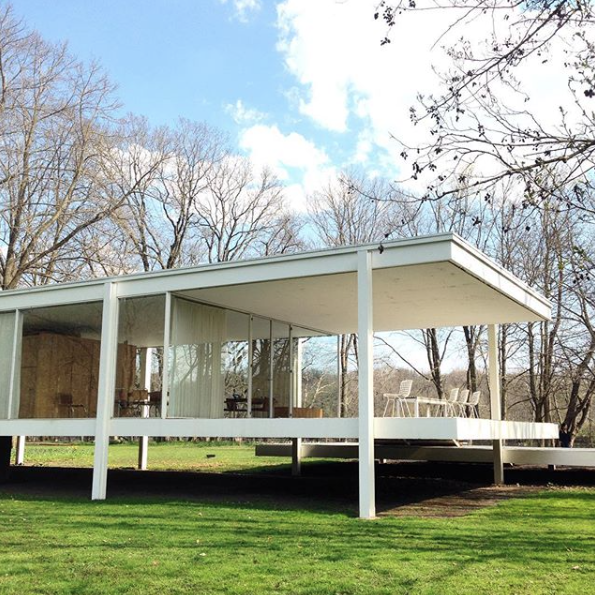 It is in Spring Lake, Michigan, and was built by the brother of the man who built our home. A Frame, mostly seen as getaway/lake homes. We were going to buy this little cutie in 2016, but inspections were a complete nightmare and we had to walk away. This is located in Ludington, Michigan. Thank you for the very informative post! This was one of those "know it when I see it, but don't know what it's called" things...you've filled in the blanks wonderfully. and scroll to the bottom you can see some of the roof line at night.